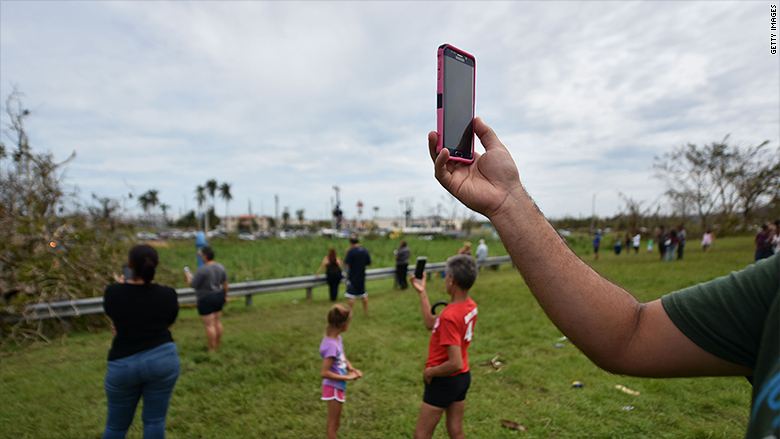 The race is on to restore cell service in Puerto Rico one week after Hurricane Maria made landfall. Cell phone companies are sending emergency equipment and engineering crews by planes and barges to the island to address the crisis. AT&T (T) has sent four chartered planes with supplies, restoration team personnel and dozens of generators to the island, with more flights and barges expected in the near future. Jeff Kobs, a spokesman for AT&T, says the company also "plans to deploy a number of portable temporary cell sites." 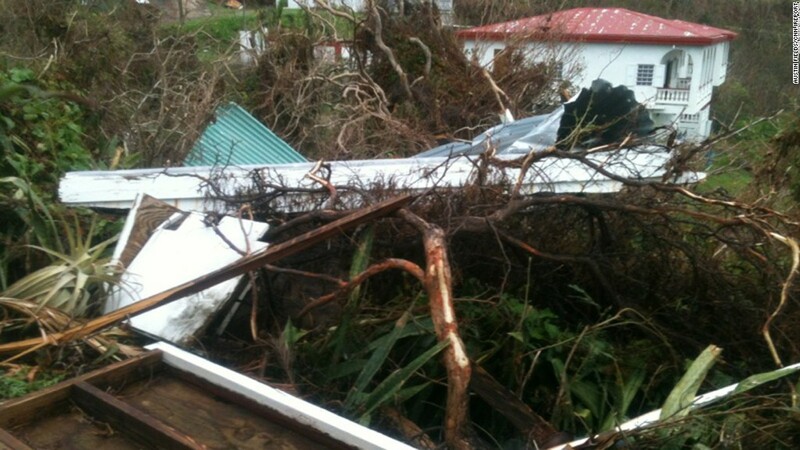 Sprint (S), another carrier that operates on the island, has sent one shipment of generators and other materials for restoration efforts, with a second shipment slated to arrive on Wednesday. "Our headquarters on the Island in San Juan have resumed operations and are coordinating support efforts to re-establish communications in Puerto Rico and the US Virgin Islands," says Lisa Belot, a spokeswoman for Sprint. The recovery process is a group effort. "All the wireless carriers are working together and sharing resources to get people back online as quickly as possible," a spokesperson for T-Mobile (TMUS) said in a statement. "But it's a long road ahead." On its website, T-Mobile highlights a daunting list of "current challenges," including widespread power outages, severed fiber connections, and flooding that limits the ability to access sites. This may explain why progress is slow going. Only 20% of cell towers in Puerto Rico are currently functioning, according to Luis Romero, VP of the Puerto Rico Telecommunications Alliance. "Which means that 80% of all cell sites are down," Romero told CNN. "Our number one priority is keeping what we have operational." The cell sites, and all operational communication infrastructure in Puerto Rico, are currently running only on diesel generators, as there's no power coming from the power lines. The result, according to Romero, is that communications companies need access to diesel fuel to maintain operations. Romero described one instance, at the Isla Verde Submarine cable landing, where diesel fuel was stolen out of a generator at night. To make matters more complicated, workers need gasoline to drive between work sites and their homes. And they risk being held up at gunpoint on the road. "We have to coordinate with police and there's not enough police," he says. "We are asking the National Guard to get protection."